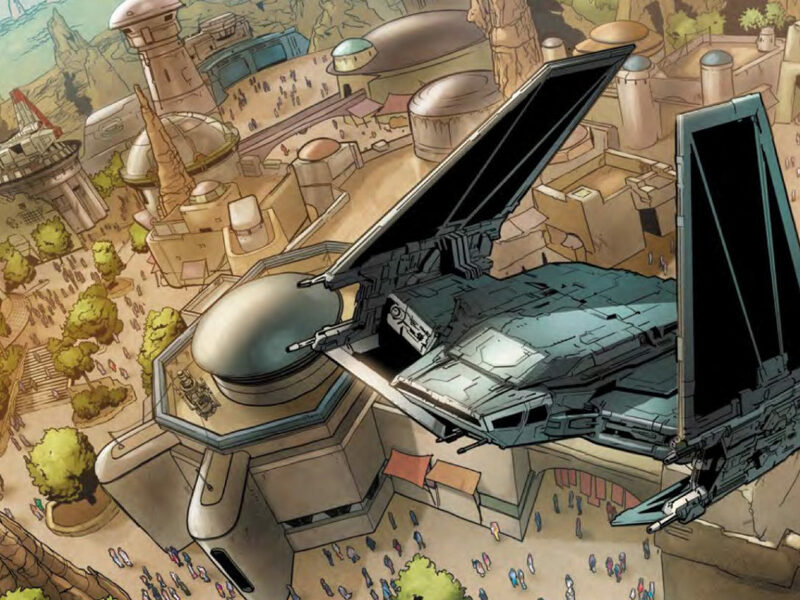 Writer Charles Soule speaks with StarWars.com about the upcoming comic, set immediately after Revenge of the Sith. 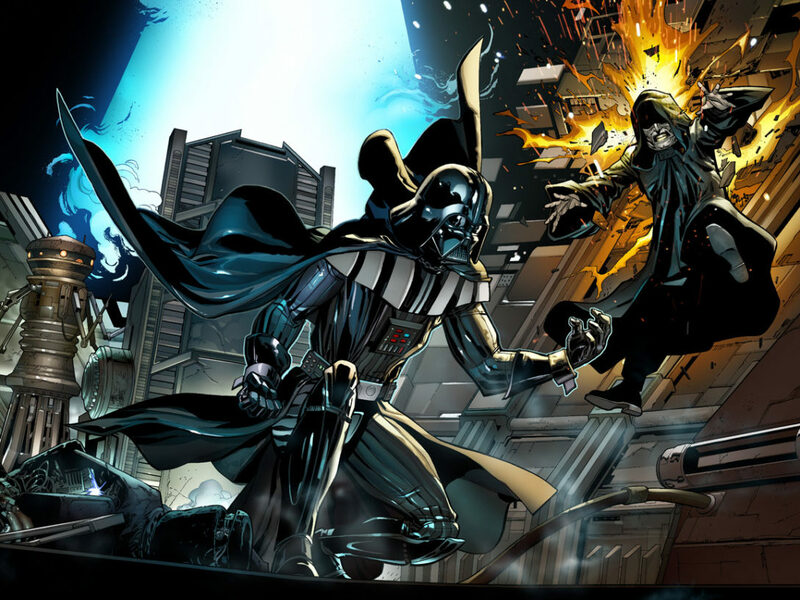 Following the events of Revenge of the Sith, who is Darth Vader? 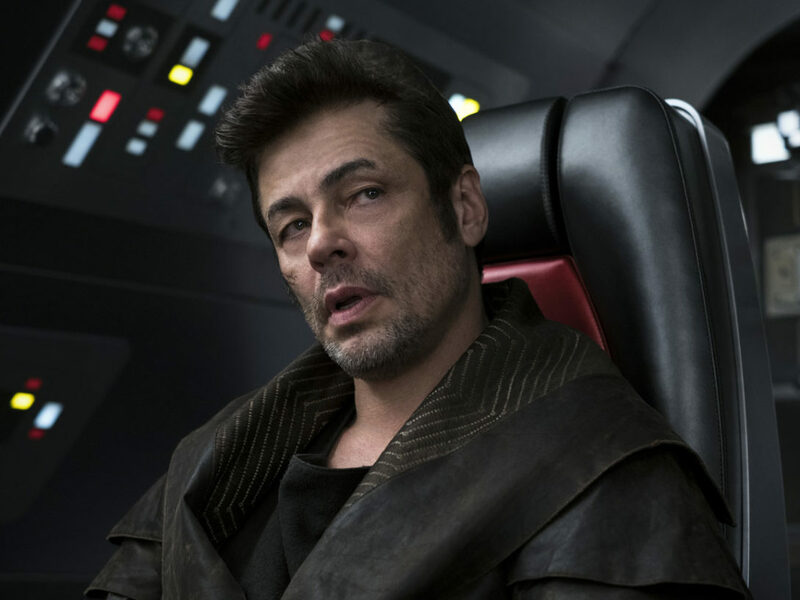 The Jedi Order is gone, his wife is gone, and, as far as he knows, their one unborn child with her. He has embraced the dark side and suffered for it, now half-machine and trapped in armor that keeps him alive and hides his charred body. Yet he is a Sith Lord, and his master rules the galaxy. So who is he really, what does he want, and what does he do next? We’re finally going to get the answers to all those questions. 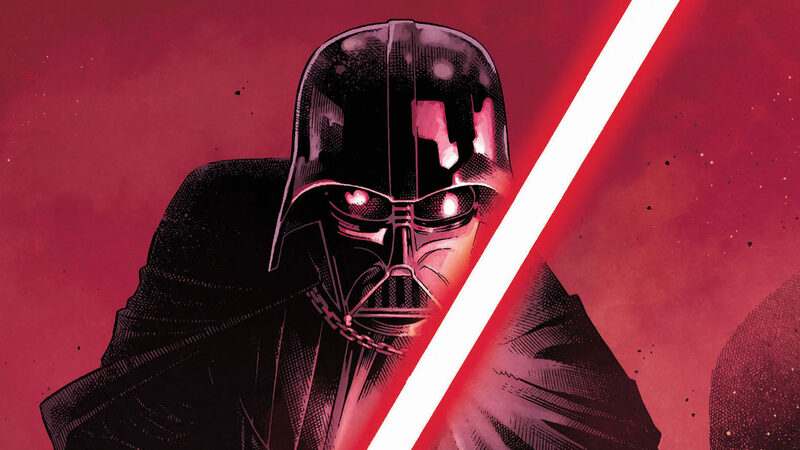 Marvel announced today a new Darth Vader ongoing series, coming in June, from writer Charles Soule and artist Giuseppe Camuncoli that will chronicle the former Anakin Skywalker’s first days as Darth Vader. The story picks up immediately after Revenge of the Sith and promises to shed light on some of Vader’s early acts and forays into the dark side, including how he built his red-bladed lightsaber, hunting down surviving Jedi, and more. 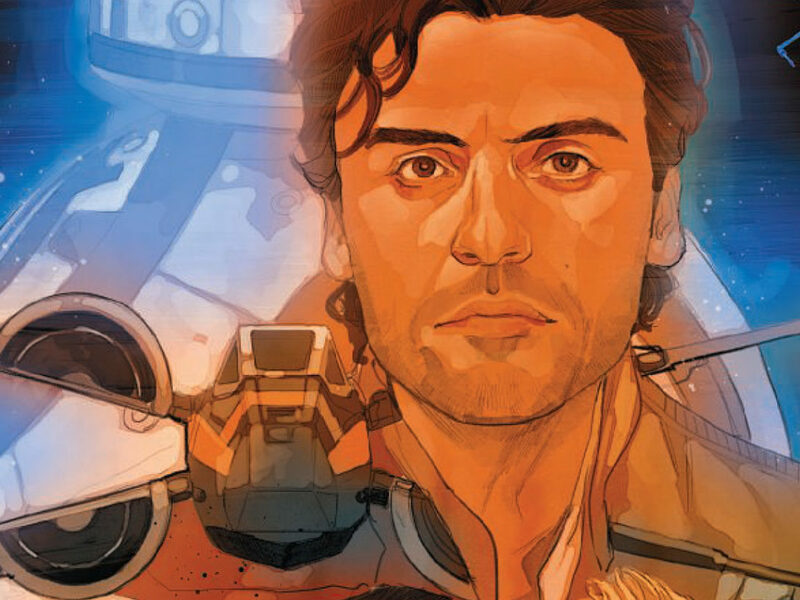 StarWars.com caught up with Soule, already an acclaimed Star Wars scribe thanks to his excellent work on Marvel’s Poe Dameron, Obi-Wan & Anakin, and Lando, to talk about his plans for the rise of an agent of evil. StarWars.com: The series begins at such an interesting, if tragic, time in Vader’s life. How do you view him during this period? What’s going on inside Vader’s head? 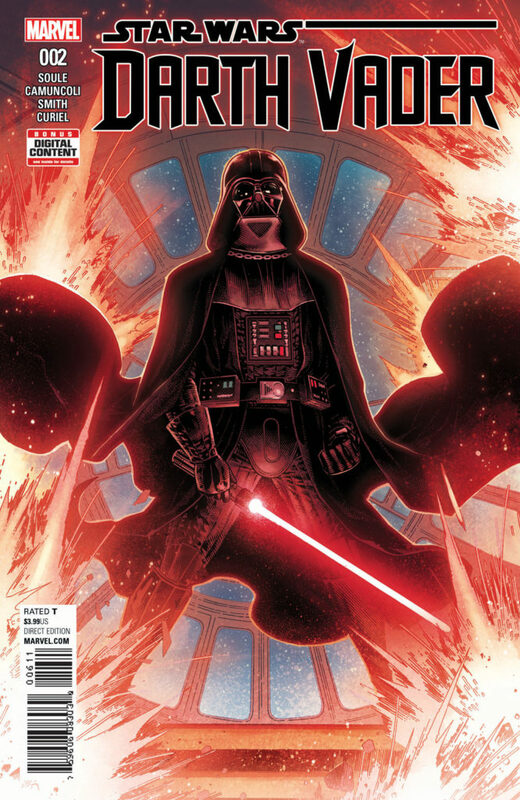 Charles Soule: In my head, I call this book “Vader: Year One.” While the Sith Lord does exist prior to the start of this book, during the final act of Revenge of the Sith, I think this is where his story really begins — at least in the form most people think of when they visualize Darth Vader. As far as what’s going on in his head, here’s my description of his mindset from the original series pitch: “Vader, on some level, knows that he is a monster — he has to know this, because he still has that famous spark of good left somewhere deep inside him.” He knows (again, probably unconsciously) that the moment he allows himself to even consider a path that isn’t complete and utter darkness, he’ll fall — and he’s right, as we see in Return of the Jedi. So, he doubles down on the dark side as almost a coping method. So…not a lot of singalongs in this book. StarWars.com: I always loved the final shot of Vader in Revenge of the Sith. Standing there with his arms crossed, kind of left with this new existence as the Emperor’s enforcer. How did you decide what comes next? Charles Soule: That was one of the most amazing writing experiences I’ve ever had…what comes next? This book literally begins one second after the shot you just described, which meant I had to decide what Vader was thinking there, and how he would react. A pretty incredible opportunity as a writer, especially as a lifelong Star Wars fan. How did I decide? I just put myself into his head as much as I could. Not easy, and not pleasant, but it generated quite a story, as you’ll see. StarWars.com: What can we expect from the Vader/Palpatine relationship? At this point, they’ve had one real bit of conflict: Palpatine telling Vader that he had killed Padmé in his anger, which Vader didn’t quite believe. Is any of that father-son dynamic, even if it was phony on Palpatine’s side, still left? Charles Soule: Absolutely, and I honestly don’t think it’s phony. That’s sort of the key to Palpatine and Anakin, in my mind. 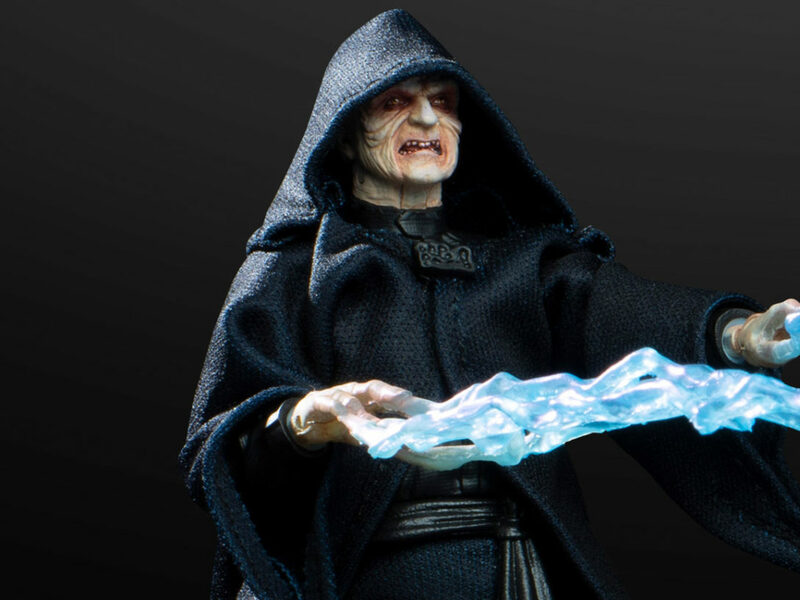 Palpatine does have an attachment to this guy. He’s a tool, and if he screws up I think the Emperor would discard him, but that’s not what he wants. He wants Vader to succeed, not just to further the goals of the Empire, but for his own sake. Vader and Palpatine are connected by true emotion, even if it’s twisted and dark. Palpatine is the only father Anakin ever knew, and just because their relationship has…evolved, let’s say…it doesn’t mean the core is gone. Fascinating dynamic to write — and we get a bunch of it in the series. StarWars.com: I’ve always wondered just how much Vader believed that the Jedi really betrayed the Republic, versus the fact that he either needed to believe it, or just needed the power to save Padmé. Do you plan on delving into that, and does it play into where he goes in this series? Charles Soule: These are dangerous questions for Vader to ask himself, and I think he’s focusing every bit of his mental energy on not asking them. I’m not sure he really even deals with it for another 20-some years, in fact. StarWars.com: We’re going to see the beginnings of the Inquisitor program. What can you say about its origins? 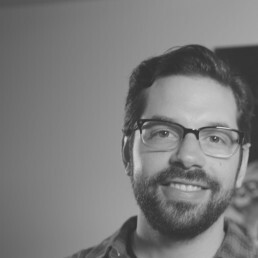 Charles Soule: It’s super-cool and thought-out to a high degree, which is fun to write. 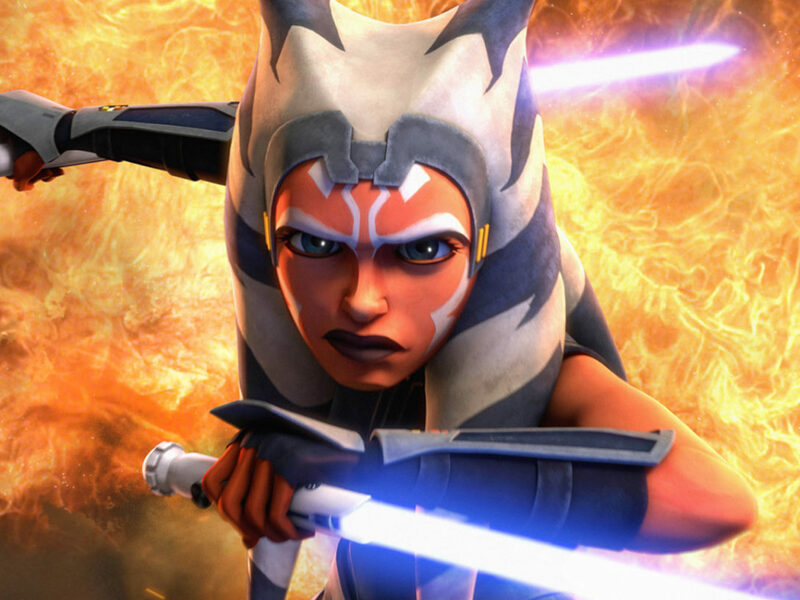 It’s such a big part of the Star Wars canon now, especially in [Star Wars] Rebels, and being able to explain and give more depth to it is a dream. This whole series is like that — answering huge questions about the construction of Palpatine’s Empire and his tools. Not just Vader, but the Inquisitors, the military, Imperial society, etc. I am a lucky writer. StarWars.com: Did you confer with Lucasfilm about incorporating it, since it originated in Star Wars Rebels? Charles Soule: Oh, absolutely. The Lucasfilm Story Group had a ton of it worked out, and were able to download those foundations to me to build on. Lots of cool stuff to come with the Inquisitors. StarWars.com: The series is also set to tell the story of how Vader built his red lightsaber. Without spoiling anything, can you tell us why you’re excited to tell that story? Charles Soule: The lightsabers are so iconic within Star Wars, especially within the Skywalker line. Anakin’s blue lightsaber is taken by Obi-Wan on Mustafar, and eventually ends up in Luke’s hands (and Maz Kanata’s, and Finn’s, and Rey’s…). But we haven’t ever seen how Vader gets his red blade, and what better place to start than with a hero’s quest for a magical sword? Of course, this hero is the very definition of an antihero, and his sword is a weapon used to instill fear across an entire galaxy…but that doesn’t mean it’s not a story worth telling. When I figured that out as the opening arc, everything kicked into place. It gives the first arc an incredible urgency and drive, especially when you realize the “rules” for Vader’s quest. Extremely happy with how it’s going so far, and man, it looks incredible. Giuseppe Camuncoli is drawing it (he goes by “Cammo,” usually) and the attention to detail and life he gets into every panel…it’s wonderful. (And terrible, but in the best way!) I’m extremely lucky that he’s drawing the book. StarWars.com: You’ve written Poe Dameron, you’ve written Obi-Wan and Anakin, you’ve written Lando. What’s it like making a real tonal shift and writing Vader at what is probably his lowest point? 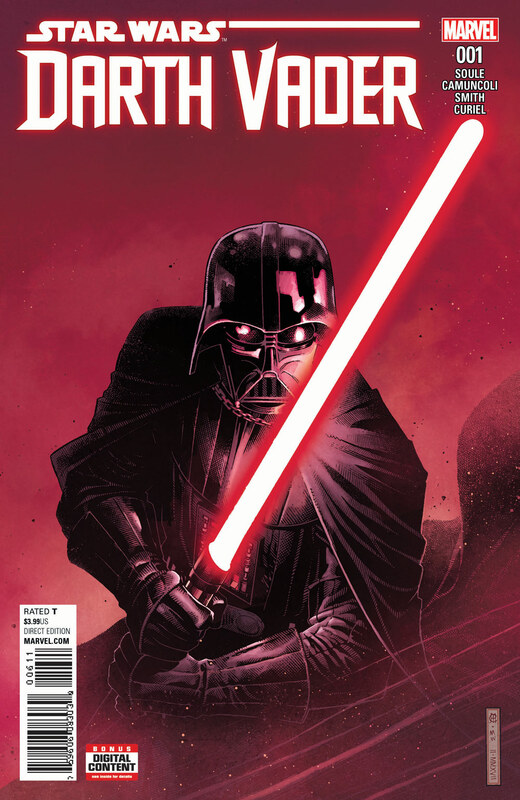 Charles Soule: I was actually a bit nervous about it at the start, since as you point out, Vader is low here. 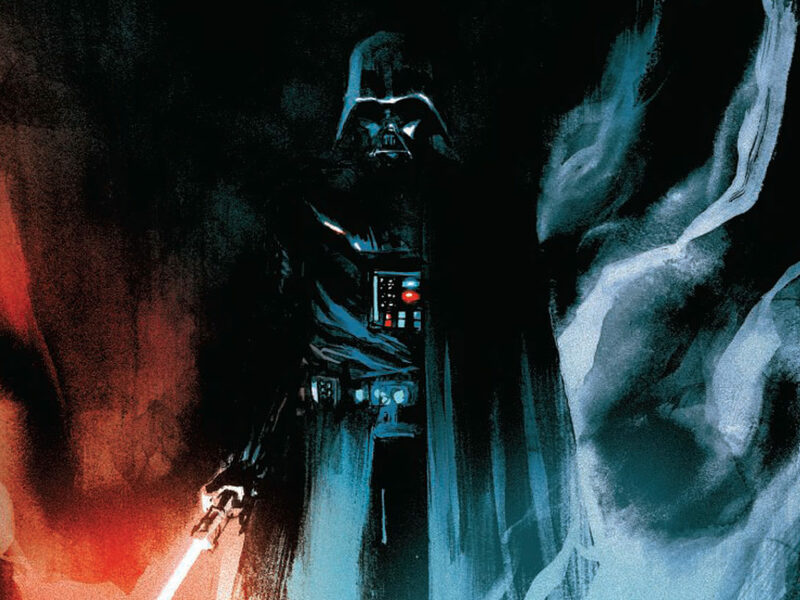 There’s a lot of death, a lot of destruction in the series — that’s all Vader really wants, and I knew I’d be writing a book that didn’t (almost couldn’t) shy away from those elements. I’ve found it surprisingly cathartic, though. Vader is pure emotion, pure rage, and it’s a way for me to work that out a little without actually turning to the dark side myself. Who knew? Vader might not be having much fun here, but I definitely am, and I think the readers will, too. The series is very metal, if that doesn’t sound too bizarre (or too on the nose, considering the main character is more machine than man). 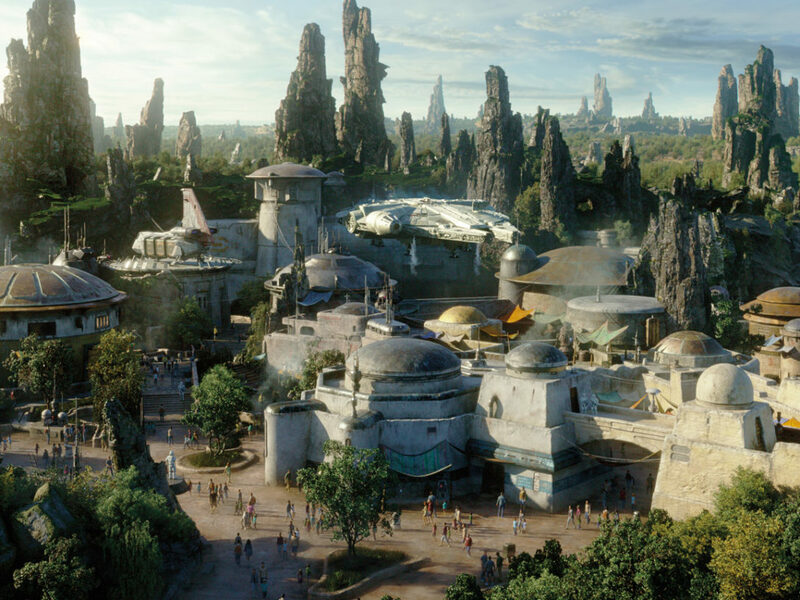 StarWars.com: At this point in the timeline, you have a lot to pull from — many Star Wars icons are still out there in the galaxy. Can we expect some surprises? Charles Soule: Yes…but if I tell you what they are, they won’t be all that surprising, you know?